- My fascination to sports cars started when I moved to Orlando, Florida. My Dad owned 3 MGB’s while growing up. 1 sitting in the garage at home and the other two located at a family friends auto body shop, who was an avid Mustang Fastback owner. The MG sitting in the garage was the pure cherry red color, with MG’s awesome multi-spoke laced rims, radiant chrome bumper and trim, vivid black leather rag top and a feel no other car can give you sitting in the driver seat. I can remember banging through the gears, ripping on the steering wheel as if I was pulling into the apex, and making the classic high revving scream with my best motor tone imitation that I could think of at the time. From that moment on it was immortalized that I wanted to drive. Not to just drive, but to drive fast! 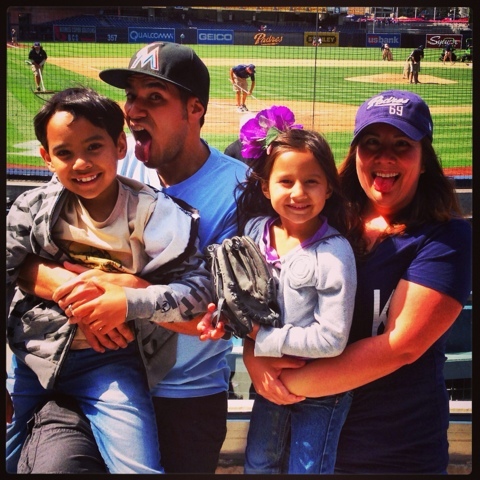 - After graduating from high school and doing odd jobs for several years I realized my goals in life were fading and that I needed a jump start to my new beginning. 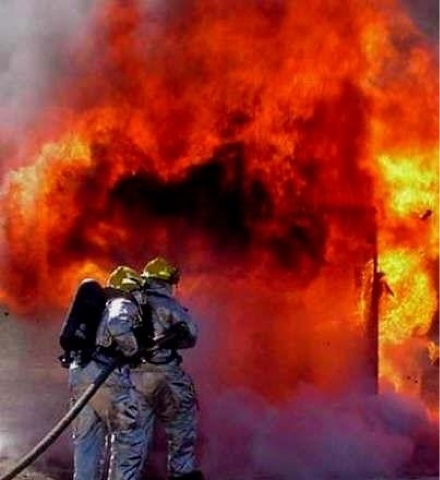 So I enlisted in the Air Force guaranteed to become a Fire Fighter in February 2000. Immediately after finishing basic training and the Louis F. Garland Fire Academy in August of 2000, I was given orders to Hickam AFB, Oahu, Hawaii as my first duty station. - When I moved to Hawaii that’s when I really got into the tuning scene. 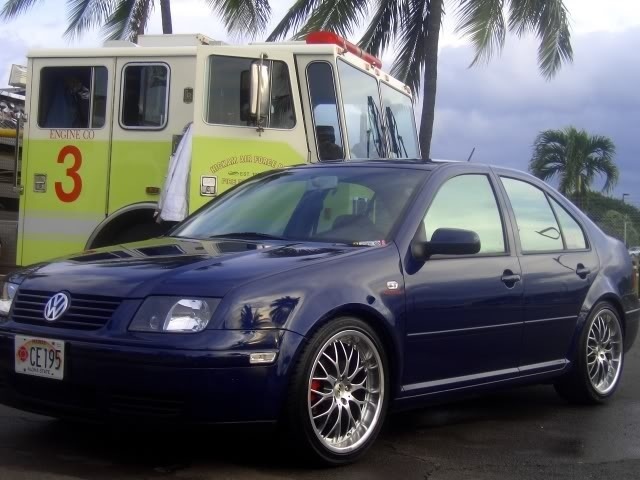 During my stay in Hawaii I had a well modified 2001 supercharged VW Jetta. The only track in Hawaii was a quarter-mile drag strip that I attended quite often. As with any track day I met a few people over the years. 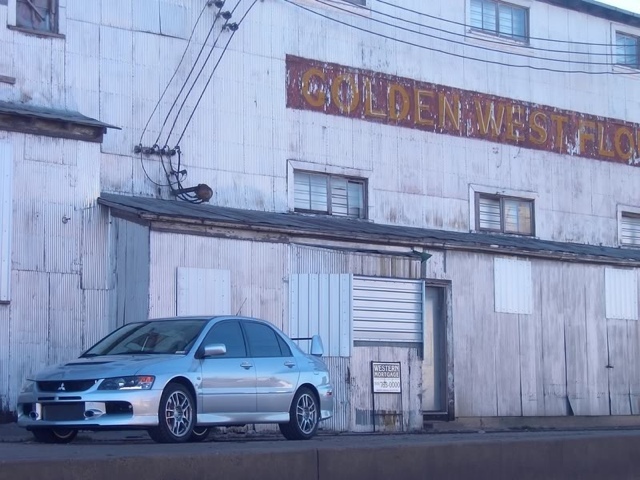 During that time is when I was introduced to the Mitsubishi Evolution. A person I met, now a best friend, recently purchased a 2005 Evolution VIII and brought it out to the drag strip. I was total impressed with the cosmetics and the “badge of honor” the three diamonds stood for. Mesmerized by the presence of the Evo the next thing I hear is “do you wanna take it down the strip?” In disbelief I was playing along as if it was a joke and said “yes” not knowing that the keys were being thrown at me at the same time. The only words of caution I received from my friend was to watch the RPM’s because when the tachometer get’s near 3’000 rpm’s the turbo kicks in. I have never driven a turbo’d car before this, so I was very skeptical and didn’t know what to expect. While lined up at the tree, I looked over my right shoulder to check out my competition and noticed a decently modified SRT-4. I then regained focus with my eyes forward looking down the strip, watching the lights drop in my peripheral vision as I gun it on the third yellow light. Paying special attention to the RPM’s, it slowly climbs up the tachometer and then all of a sudden I see redline before I realize I need to shift. After going through the gears the rush is over and now I’m left contemplating purchasing an EVO. As for the SRT-4 he finished well after me, if that matters. Once I returned back to my friend and showed him the time slip he was in disgust. Reason being is that I ran a faster time then he ever did till this day. - With the full commitment to purchase an Evolution now after only one test run I had several options to choose from. One, buy one in Hawaii with a $6,000 mark up. Two, fly over to California to buy one and ship it back to Hawaii. Or option three, wait a year until I move back to the mainland. I opted for the last choice. With one year left in the military fate had its course and they moved me to New Mexico to finish out my term. Immediately after landing in the states I purchased my show room 2006 Mitsubishi Evolution IX in apex silver in Albuquerque. With myself distend to go fast I quickly modified the Evo with simple bolton parts. All the while still going to a local drag strip to relieve my “high-speed” addiction, I never knew what my future was to entail. -Making a decisive career judgment to get out of the military in 2008, it was not only a tough choice but one that introduced me to Southern California. Within California I knew of the abundance of local tracks throughout the state. Really wanting to push the limits of the Evo in turns and not only in straight lines I looked into local auto cross sanctions. When I found an SCCA Auto-X event and a HPDE event being held at the Auto Club Speedway in Fontana, CA I knew I had to go. With the car loaded up with all the necessary track equipment I made it down to the speedway. As I approached my destination I saw the Auto-X course on my left but I made a bold decision to go right and preceded to go to the HPDE sign up area. I felt a cone course wouldn’t satisfy my desire to drive fast. Having driven many of the Southern California tracks I am very competitive and fastest amongst my group. I am now ready to take it to the next level! - Let it be known that I moved to Florida when I was 3 months old. My dad at that time was in the Air Force. My parents, brothers and I moved shortly after my birth in Hampton, VA. Fast forwarding to today, I am now in my 30's, being Honorable discharged from the U.S. Air Force after an 8 year stretch, recently moved to Southern California with my two beautiful children and my gorgeous loving wife, and currently working as a Fire Fighter in Southern California at Edwards AFB, CA. I'm an avid track junkie attending many local meets and “time attack” events amid enthusiast with that same desire and commitment I have.